Based on the way that e-commerce has grown, it’s safe to say that consumers love the convenience of being able to shop online. In 2015, online shopping accounted for more than one third of the growth of retail sales, totaling just over $341 billion for the year, according to reports from the U.S. Department of Commerce. That totals a 14.6% increase over 2014 – and the growth isn’t just a recent trend. From 2005 to 2007, year-over-year growth averaged 23% before dropping to around 3% during the economic crisis in 2008 and into 2009. The growth returned sharply in 2010 at 16.6%, and has since held around 15% growth on average year over year. As mobile technology continues to gain popularity, more consumers are expected to shift toward online shopping, with e-commerce sales forecast to hit $684 billion by 2020. So it seems now is an opportune time to launch and push to grow an online retail business, especially given the tools and resources entrepreneurs now have available to them – many of which didn’t exist ten years ago. When people first started selling online, it was difficult to do on your own. Those running online stores had few options for online marketing; “weblogs” wouldn’t become mainstream for some time, and social networking wouldn’t start gaining steam until the leap into the new millennium. Today, e-commerce platforms like Magento and Shopify have become end-to-end solutions for presenting products, handling transactions, managing customer data, marketing, order fulfillment, and more. The comprehensive native features, coupled with pre-built third-party applications, are taking e-commerce to a whole new level. What once took months to launch is now being accomplished in weeks – even days. And once you’re setup, you can achieve growth quickly if you implement the right tactics. Here, we’ll look at a number of companies that grew their online store from scratch. We’ll show you how these companies leveraged different marketing channels and tactics, providing you with actionable takeaways to use for the benefit of your own online business. Just six months after launching his new e-commerce store, Finch Goods, Richard Lazazzera (founder of A Better Lemonade Stand, an e-commerce incubator) shared an update with his followers. It included a wealth of information, starting with his greatest challenges, operational insights, and how he was developing his marketing plan. Because he was focusing on high-quality fashion and lifestyle products for men, Lazazzera faced some unique challenges as a startup. The time commitment – Quality is the unique selling proposition (USP) for Finch Goods, so product selection is extremely important. For each product Lazazzera chose to carry, 25 were carefully considered and around 250 browsed through. Supplier relationships – Building relationships is another challenge that takes a great deal of time, but also required some finesse in terms of negotiating with and vetting suppliers capable of meeting his needs. Marketing – Building the right marketing plan is essential for any startup, especially if you want to hit your target audience on the nose, as Lazazzera did. In his original post, Lazazzera talked about the importance of generating targeted visitors. He compared his business to a bucket, where an ineffective marketing strategy and store setup is similar to a bucket full of holes. One thing that’s important to point out in the case study is that Lazazzera deviated from “best practices” when it came to SEO. Specifically, he copied product descriptions from the manufacturers. While he ran the risk of duplicate content, he took a “done is better than perfect” approach to getting launched. He worked on updating product descriptions to something more unique once he launched. Lazazzera’s outline at the six-month point of launching his business is the perfect template for everything you should be doing, at a minimum, to get your e-commerce business rolling forward. If you look at the list of items in his marketing foundation, there are a few key things you can take away. First, your business lives and dies by its USP. In the case of Finch Goods, it’s the concept of high quality. At no point does Lazazzera skimp on this – and he states clearly what kind of impact this would have. When you establish that USP, that value proposition that sets you apart from your competition, never compromise. It’s one of the key things that will define your business as you grow. It’s why your customers chose you, and it’s part of the foundation of that trust. Finch Goods takes advantage of various ways to engage a prospect once they enter the funnel, from collecting emails and offering incentives, to presenting exit-intent popups and using email and retargeting. This approach consistently drives home the conversion and hits the prospect with multiple calls to action. When you’re growing a new online store from launch, persistence is important to acquire and convert those new customers. There are no returning customers at this point, so leveraging all of those touch points is a smart investment. When you’re trying to build your business, you need a careful balance of delighting current customers and acquiring new ones. Tackle both objectives by using a referral program that rewards customers who bring you new business. Your top customers are already happy to sing your praises. If you reward them for their efforts, they’ll open the floodgates and send waves of friends, family, and strangers your way. While no compromises were made on the quality of goods, Lazazzera did compromise with the product descriptions. There are always areas where you pick your battles and your time investments. If you spend too much time trying to make everything perfect for launch, you’ll never get launched. “If I could go back in time, I would have likely kept a tighter selection of products. I got carried away at first and quickly got up to over 100 SKUs. Keep in mind I was purchasing inventory upfront so not only did this increase costs and take away money for advertising, but the greater number of SKUs increases complexity when it comes to inventory management and advertising. I’ve only recently begun working with a manufacturer to begin manufacturing my own products based on the knowledge I’ve learned from Finch Goods, the industry, and my customers over the last 2 years. Since this has been an evolutionary business and process, it’s hard to say “I wish I did this sooner” but I would encourage e-commerce entrepreneurs to work towards creating and manufacturing their own products. If they aren’t ready or don’t have the capabilities to do that, a good start is to begin by selling other people’s products in the industry you’re interested in. 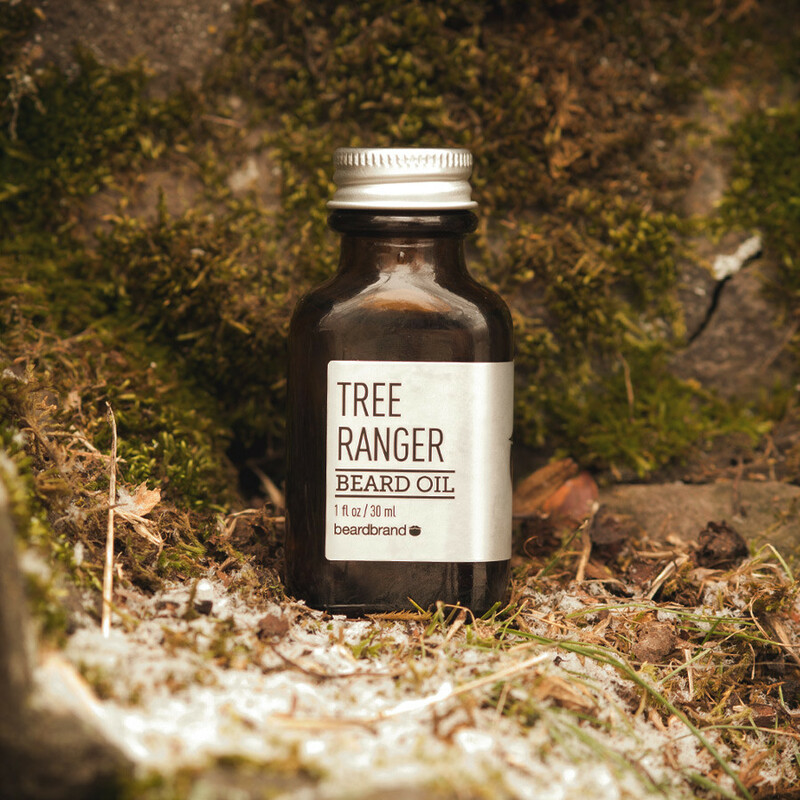 Beardbrand is a manufacturer and online retailer of beard care products. When Eric Bandholz founded the company, he recognized that a lot of retailers build their businesses to sell products and rarely put the effort into building a brand. He believed that building the brand, a task infinitely more difficult than simply selling products, is a major priority for any B2C business, and directly impacts the valuation of your business, as well as the loyalty of your customers. That focus on building a brand created unique challenges for the startup. Greater expenses – Building a brand takes a tremendous amount of time and effort. It’s a long game, and there’s no instant success with positioning a brand in front of your audience. Maintaining consistency – Positioning Beardbrand as offering a premium product and a premium customer experience meant staying consistent with the brand. Part of that consistency meant no discount offers, no advertisements on its content marketing, no pop culture injections to grow social followings, and investing in the right marketing opportunities even if no ROI could be directly proven. The devotion Beardbrand put into sharing its story and positioning the brand for a very defined audience segment is what helped the company reach $120K in sales each month within the first year of launch. Here’s what you can learn from its efforts. Passion is important in business, and you should work to develop your brand story in a way that shows off the passion you have. One of the key takeaways from this case study is that when you’re passionate about what you do, it’s easy to position your brand and your products in such a way that customers will see the appeal. 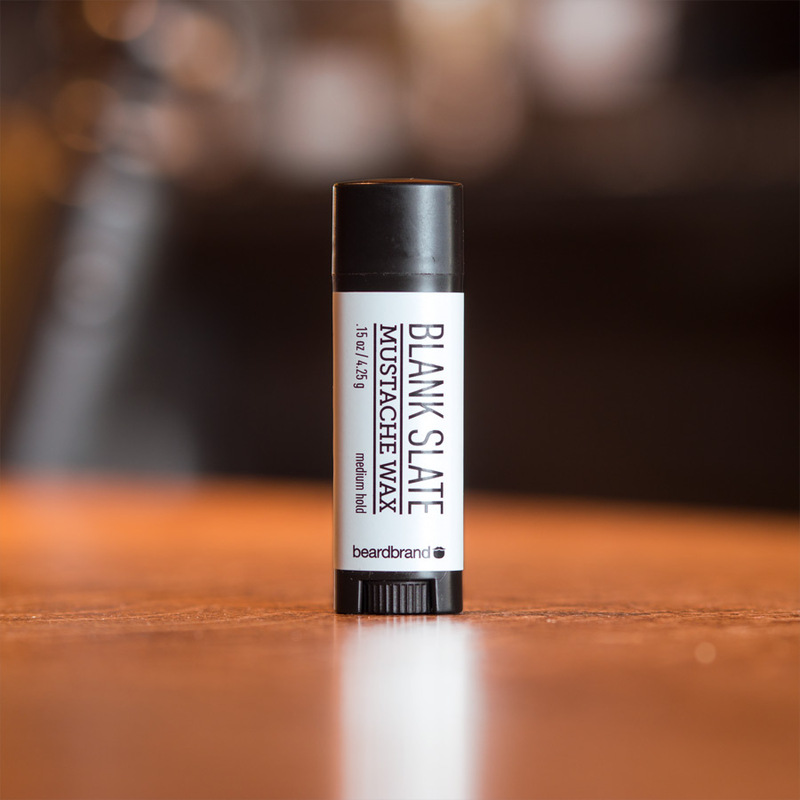 Rather than target a wide audience, Beardbrand got very specific with who it was targeting – so much so that the company coined a specific term to define the audience segment. The identity it created wasn’t just for internal reference; it told the customer who they were. 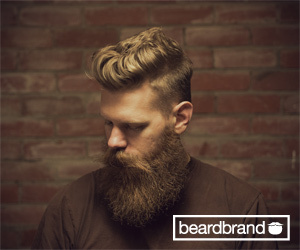 Beardbrand created an identify for customers to claim, making them part of the brand story. The more you define your audience, the easier it will be to connect with them on a very personal level. Bandholz focused on offering a premium experience to Beardbrand’s audience. There were no discounts to be had and no special promotions. This created a precedent in the mind of the consumer – rather than shopping by price and waiting for a sale, the focus is on the quality of the product. Don’t try to compete on price, and don’t let discount wars with competitors dilute the value in your brand. You’ll struggle to grow your business with a model built on thin margins and constant discounts. You’ve likely heard of Diamond Candles. The company is an online manufacturer and retailer of soy-based candles. There’s not much about candles that can make a company unique, but co-founder Justin Winter found a way to build real value into the product. Each candle has a ring buried within the wax, with rings ranging from “pretty costume jewelry” to $5,000 in value. There was just one problem after launch. Diamond Candles didn’t have the funds to cover advertising costs. Because it had zero budget for paid ads or sponsored content, the company had to rely on word-of-mouth to grow its e-commerce business. Success is still attainable, even if you have zero money to spend on advertising and growth. When you can delight your customers with something unique and engage them, you’ll transform many into ambassadors who will do the work for you. Diamond Candles transformed a mundane product into something that couldn’t be found anywhere else. That turns an ordinary product into a conversation starter. In Marketing Sherpa, Winter notes that the average customer is quick to share the product experience with multiple people, mainly due to the excitement of an expensive prize which adds to the thrill of the purchase. If you want to get people talking about your new business, provide value they absolutely can’t get anywhere else. That will bring new customers in droves, and those referrals cost you nothing. The user-generated content from customers was a welcome surprise for the brand. Customers were constantly taking pictures of their candles and the rings they found inside. Diamond Candles would take those images and share them with its fans to promote sales through the visual experience. Instead of pressuring your fans to share content, engage them when they do share images or videos that involve your brand. Repost that content, continue to engage them directly, and your audience will do the same. FUGOO developed a line of “go anywhere” Bluetooth speakers with the intention of going up against industry incumbents – major brands that had a strong foothold in the industry. Interestingly enough, CEO Gary Elsasser and his team contributed to the creation of Bluetooth standards and were responsible for designing and building some of the top products being sold by companies like Toshiba. That created some unique challenges for the FUGOO team. Heavy competition – They were competing, in part, with themselves and their own creations. Whatever they did would need to be innovative and bring major value to their audience. But they were also competing against major brands with seven-figure ad budgets. Congested market – A new product and brand launch in a heavily-crowded market can be like trying to cross the Atlantic. Without the right planning and resources, you won’t get far before you’re never seen again. Narrow launch window – The company had a 60-day launch window to get ready for the Consumer Electronics Show in Las Vegas – and a limited budget. No single element in its strategy, by itself, would give the company the results it achieved. Above all else, an omni-channel strategy can be the single most beneficial approach to marketing a new business. More importantly, your strategy should be entirely unique to the challenges posed by your industry, competitors, and audience. Online traffic comes from a variety of sources, from search to social and paid advertising. But organic search still makes up at least 30% of traffic to e-commerce sites. If you’re up against major competitors that are entrenched in the industry, then make optimization a key effort. FUGOO gained number one spots in Google for highly relevant keywords; if you can achieve that, you can acquire significant market share and make sure your store is the first stop for customers searching for your product. FUGOO launched with several PR campaigns, along with a presence at CES in Vegas. The company ensured its site was ready for customer feedback and reviews, which would directly impact the conversion of new customers on the site. It prepared for the traffic and visibility to come. When you’re choosing your e-commerce platform, or applications to help with promotion, don’t just think about where you currently stand. Plan appropriately for what’s to come so you’re using the most scalable solution. FUGOO knew it couldn’t compete with the seven-figure ad budgets of major brands and their blanketed branding promotions, so the company hyper-focused its campaigns to target very specific audience segments. This is a smart approach if you have a very small ad budget. While your ads may have reduced visibility to a smaller audience, when layered with targeted social ads on sites like Facebook, they will reduce your total ad spend. You’ll also have a higher click-through rate for your ads since they’re targeting people more likely to show interest. With more targeted traffic, you’ll also reduce the cost-per-click. If you choose to advertise to acquire more customers after launch, do it in a way that minimizes how much you spend. This is another case study featuring the brilliance of Richard Lazazzera, who happens to also be a member of Shopify’s growth team. In 2015, the team decided to see what it would take to build an e-commerce business from scratch and see what kind of sales they could generate. In short, beyond their startup money, they had nothing. While this is a case study in launching an e-commerce business, it shows the vast revenue potential of having a clear plan and executing it flawlessly. Like other case studies in this article, Hello Matcha focused on positioning the product and brand as “premium.” That allowed for a higher price point and profit margins, and helped segment the audience as the team positioned the product away from competitors. What’s important to note about this approach is that in every case, the team is actually dealing with higher quality products. It’s not just a marketing approach. If you intend to do this with your product and brand, you have to be authentic. Your customers will know pretty fast if you’re faking, and the reviews and word-of-mouth will show it. As with any e-commerce product, your photos are critical. Customers can’t pick a product up and look at it. They can’t taste it, smell it, or sample it. You have to rely on your product photos to help you seal the deal. Hello Matcha didn’t get fancy or hire a photographer. The team took pictures with an iPhone. What’s important to note is the quality of the images and the editing. Better images equate to more conversions. Take the time to prepare, and use the best quality photos you can get your hands on. When you create your marketing strategy, you need to plan for the long term. That means planting seeds with content marketing and search optimization that will organically generate leads and prospective customers down the road. While you’re waiting for those efforts to gain traction, make sure you’re doing things that generate business right now. To reach that $1 million mark you have to start by acquiring customers. Hello Matcha went with tactics it knew would quickly generate sales. Individually, each channel only creates a small amount of revenue, but when combined it becomes a substantial amount. Don’t ignore those small wins – they count. Leverage social media engagement, groups, industry-specific websites, paid advertising, and even content marketing that could generate rapid visibility. No single tactic is going to get you across that six-figure finish line, nor would replicating the exact tactics of the businesses we reviewed in this article. What will work is setting goals specific to the challenges you face, and creating a marketing strategy built around those goals. The key point is that it doesn’t take a significant investment to grow your business, and you can take on industry incumbents even as a new startup, if you position your product in a unique way, focus on the value, stay consistent with your brand, and create a marketing strategy that gives you quick wins while planting seeds for success down the road.